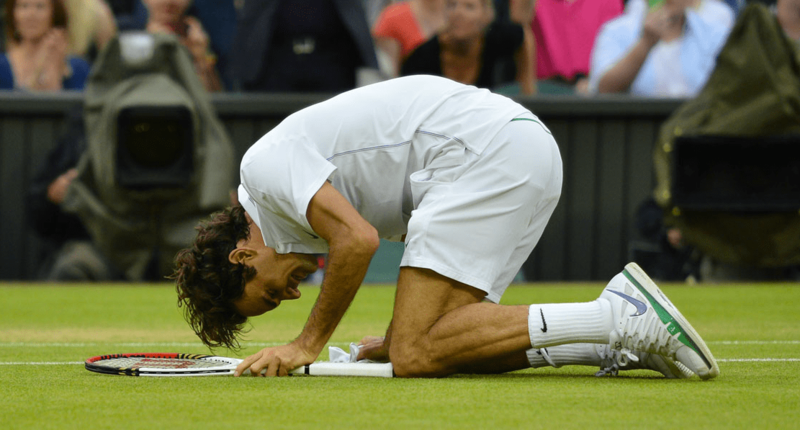 Roger Federer addressed the media after winning his 7th Wimbledon title (17th grand slam), and one thing stood out of all the matters he spoke about. As simple as a few words, Federer never stopped believing. He said it was not just the victory over Murray but a progression of highs and lows which enabled him to reclaim the #1 ranking. Most notable of those lows was his loss to Novak Djokovic in the US Open semifinals last year when he was up two sets to none and held two match points in the fifth set. ATP World Tour tribute video. Federer’s triumph at the All England Club increases his Grand Slam championship trophy count to 17, but the win over Murray has extra meaning to Federer, as his twin daughters Myla Rose and Charlene Riva were in his box to see him crowned champion. The Swiss acknowledged the balancing act between his career and duties as a father has presented its difficulties, making his final victory over Murray even sweeter. “The victory today is a dream come true today for me and my family, seeing them there. Yeah, it’s big,” Federer said. The Swiss maestro will return to Wimbledon in three weeks when he represents Switzerland in the 2012 London Olympics.